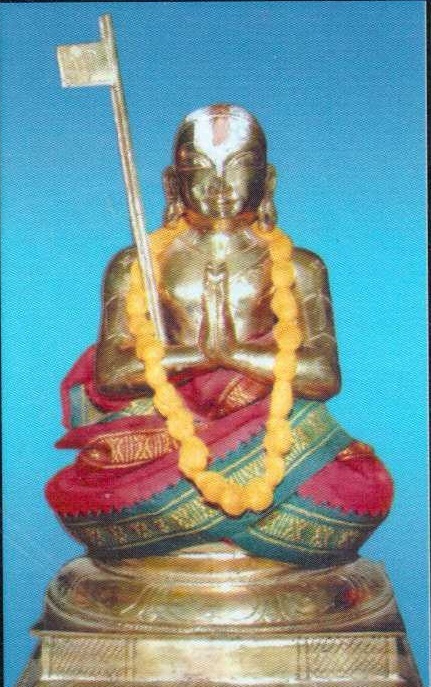 ARAyiram – ArAyirappadi vyAkyAnam (having 6000 sets of 32 letters). 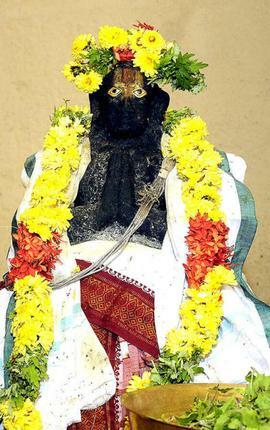 theLLArum gyAnath thirukkurugaip pirAn piLLAn – Having suitable complete wisdom in clarity of knowledge for authoring the first vyAkyAnam for thiruvAimozhi, that is thirukkurugaip pirAn piLLAn. ethirAsar pEr aruLAl – By the limitless kindness of emperumAnAr, as said in ‘un perun karuNai thannai [rAmAnusa nURRanthAdhi – 70]’. This is the reason for him doing the vyAkyAnam. uLLArum anbudanE – That is, not doing it for kyAdhi (fame), lAbham (profit), etc., due to the limitless love for thiruvAimozhi. Due to unlimited compassion towards the sentient. mARan maRaip poruLai – As said in ‘aruLinAn avvarumARaiyin poruL [kaNNinuN chiruththAmbu – 8]’ (essence of that rare (difficult to acquire/learn) vEdham), it being AzhvAr’s, in the form of vEdham, being hard for others to identify its meanings, such thiruvAimozhi’s meanings was divined as ArAyiram (in six thousand sets of 32 letters). 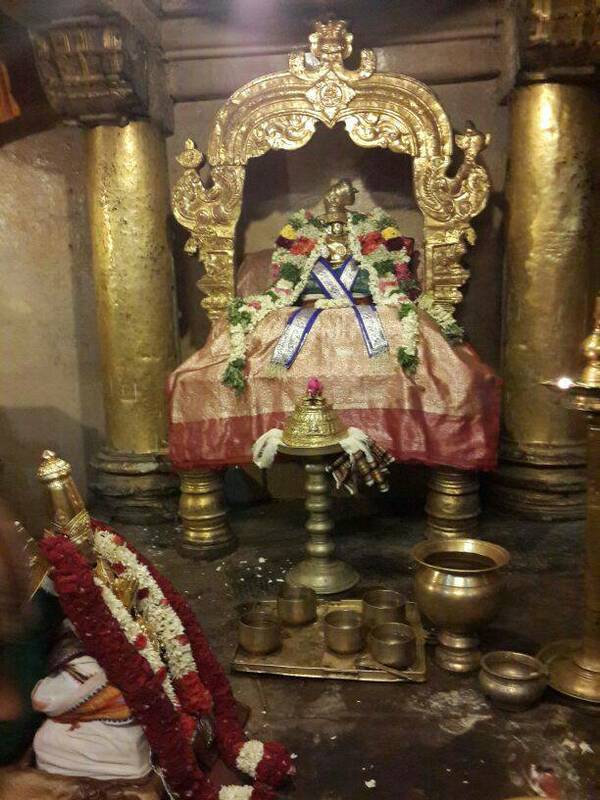 It was written with love, that suits with ‘avAvil anthAdhi [thiruvAimozhi 10.10.11]’ (). anRu uraiththadhu – that is, listening from bhAshyakArar and thinking through it, getting clarity of the meanings, is when he had authored the vyAkyAnam. 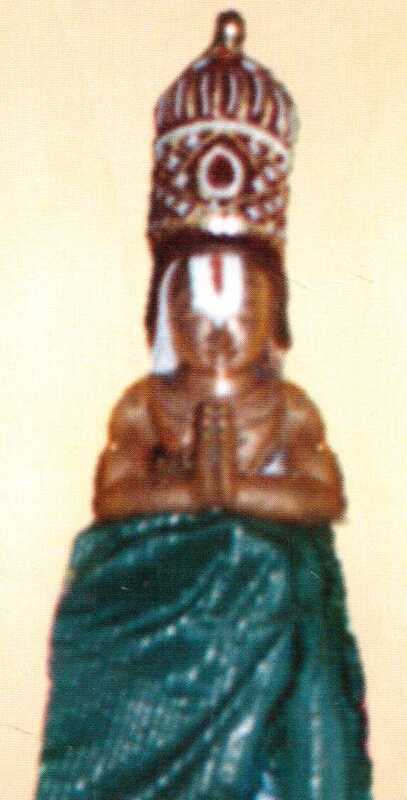 inbamigum ARAyiram – As said in ‘amar suvai Ayiram [thiruvAimozhi 1.3.11]’ (well-fit sweet and sound meaning), being fully interesting and sweet (rasa ganam), being delightful to the devotees, it is set in the length of delightful six thousand that he divined. 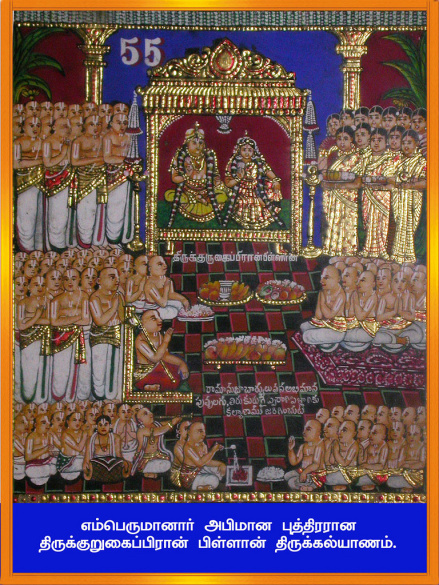 That good taste is obtained from the mUlam (original text – thiruvAimozhi), isn’t it? Since it is done with love, this would also be delightful, isn’t it? Since he is loved like a son of paurANikar (well versed in puraNams, that is, emperumAnAr), he has written it in the count of SrI vishNu purANam of six thousand, isn’t it? This entry was posted in Other, upadhESa raththina mAlai and tagged 6000, 74, annan, arayirapadi, arayirappadi, erumbi, erumbiappa, ethirasar, kovil, kurugai, mamunigal, manavala, maran, nammazhvar, pasurams, pillan, piran, rathina, rathinamalai, raththina, raththinamalai, sadagopan, satakopan, upadesa, upadhesa, yathirajar on January 12, 2016 by raghuram.